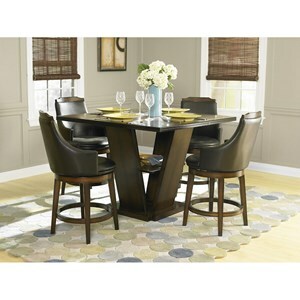 Casual dining meets transitional style with this counter height table. 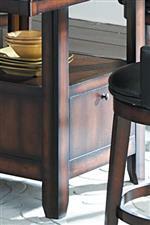 The square tabletop is supported by a single pedestal with a built in storage shelf to keep bowls or newspapers on hand. 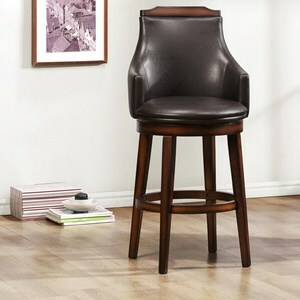 A beautiful dark brown finish combines with the crisp lines of the pedestal to create a modern take on transitional style. The Bayshore Transitional Counter Height Table with Storage Shelf by Homelegance at Hudson's Furniture in the Tampa, St Petersburg, Orlando, Ormond Beach & Sarasota Florida area. Product availability may vary. Contact us for the most current availability on this product. 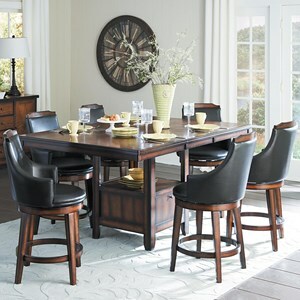 Between the storage options, beautiful transitional style, and the medium walnut finish, the Bayshore collection is sure to fulfill your casual dining dreams. 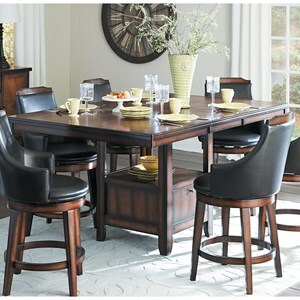 Swiveling stools make it easy to follow the action while the raised counter height dining creates a more laid back atmosphere perfect for conversation, dinner prep, and easier for many to get in and out of. 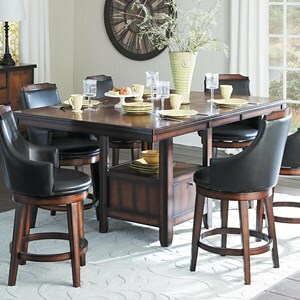 Put it all together and you've found the ideal collection to complete your dining space. 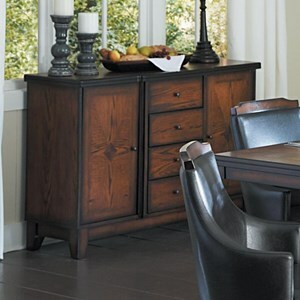 The Bayshore collection is a great option if you are looking for Transitional furniture in the Tampa, St Petersburg, Orlando, Ormond Beach & Sarasota Florida area. 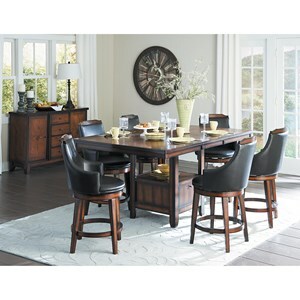 Browse other items in the Bayshore collection from Hudson's Furniture in the Tampa, St Petersburg, Orlando, Ormond Beach & Sarasota Florida area.